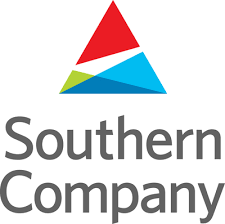 On April 16th, Southern Company announced a dividend increase of 3.4%. This will increase their dividend per month from $0.58 to $0.60. It is payable on June 6th for shareholders of record on May 21st. The new monthly dividend represents an annualized dividend amount of $2.40 per share as compared to the current annualized dividend amount of $2.32 per share. I currently am holding 23 shares of Southern Company thanks to my recent buy and sell. With this 3.4% increase it will add $1.84 to my Projected Annual Dividend Income. It isn’t much but I appreciate every dividend increase that I receive. If you read my last article about my purchase of more Southern Company stock then you will know that I still like the company. I am glad that I was able to get my purchase in before this announcement but I would love to see the price drop below my cost basis before the ex-dividend date because I would probably add some more. 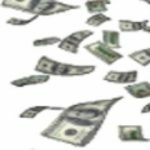 12% Dividend Increase from Hormel Foods ( HRL ) Dividend Increase Announcement On November 19th, Hormel Foods announced a dividend increase of 12%. Love the increase. Can’t expect much for such a high yielding stock. Utes, typically don’t have eye popping dividend increases but their current yield more than makes up for it. Long SO, D and ED in my portfolio. I agree. I was not looking for a huge increase but as they put some of these bad projects behind them I would like to see some more growth out of the company. You have a couple of nice utilities there. I have looked into D and ED but I always end up back at SO. Thanks for stopping by DH.